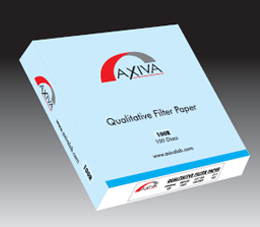 Axiva Sichem Biotech is engaged in offering a wide range of Qualitative Filter Papers and Qualitative Ashless Filter Papers to our valuable clients. This filter paper manufactured and tested by our quality examiners on varied parameters. Our company aim is to deliver best and take special care of client necessity & it can be possible by the competitive prices, performances, consistency.